I wish I could take the credit for this art, but I cannot. 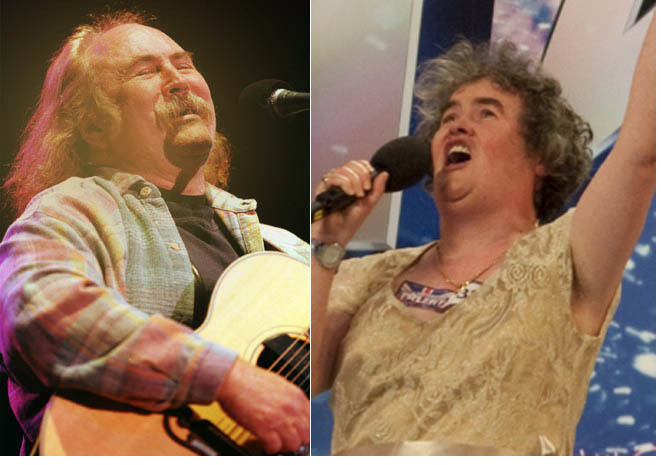 Susan Boyle. The smile. The voice. Oh, the voice. The “Infectious laugh,” as Matt Lauer so boldly put it. And he nailed it, just as Matt Lauer so often does. An infectious laugh indeed, Madame Boyle. 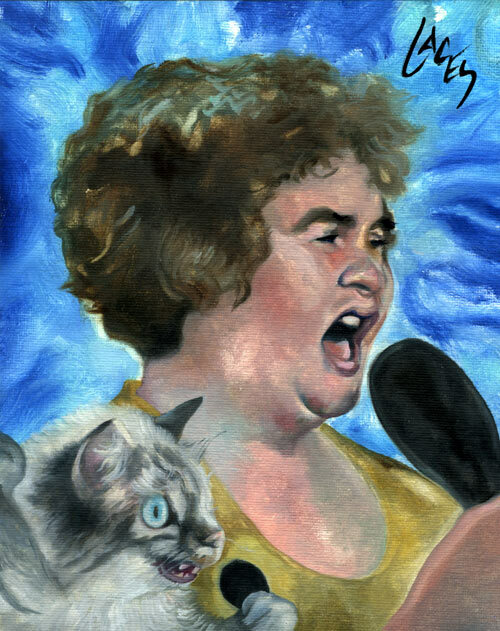 Susan Boyle, you are the world’s softest, warmest brownie. Like so many of us, you were beaten by your teachers and ridiculed by your childhood peers. But, like none of us, you have a voice that makes love to miracles and you have a strong resemblance to David Crosby. Dream the impossible dream, Susan. I’m dreaming that dream. I’m dreaming it. Dream that dream, Susan. Dream it all day long.